New Listing: 6216 Savona Access Road, Savona, Kamloops, BC $469,500. 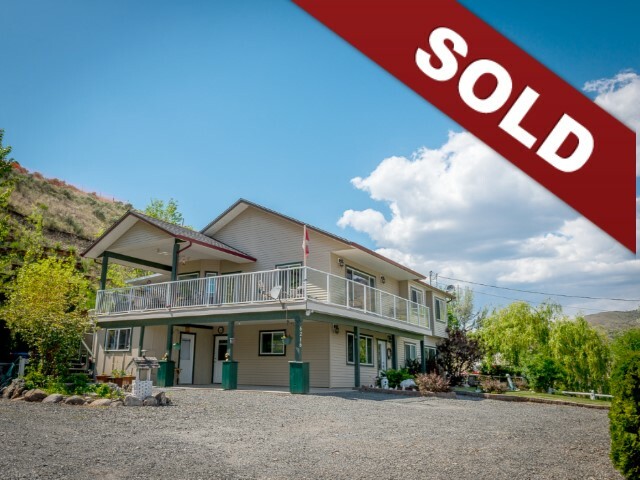 Unobstructed panoramic views of beautiful Kamloops Lake, nestled into the hillside on west-end of lake, this home captures the sunrise and sunsets through a multitude of large windows and a huge 14’x35’ partially covered deck. Built in 2008, this home boasts an open concept kitchen, dining and living room with 2 bedrooms plus den, a bright, above ground one-bedroom suite with 3-piece bath in lower level along with bedroom/family room for upstairs use, utility room, shared laundry and plenty of storage. Master bedroom has walk-in closet, 2-piece bath adjoining to main 4-piece bathroom and ‘rain door’ to small yard. Den and 2nd bedroom both have window seats. Suite has separate entrance, driveway and outside sitting area. Bonus: insulated between floors and all inside walls up and down. All appliances included. 200 amp service, air conditioning (2017), hot water tank (2015), 3-Stage Water Filter System (2015), Certified Septic System and new Community Water System. For windier days, relax and barbeque under the covered aluminum awning on a very private 15’x12’ rear patio. Carport is 14’x20’, easily enclosed and features a 9’x13’ wired workshop. Tons of extra parking. Additional shed and workshop on east perimeter of property. Gentlemen’s agreement offers extra exit on neighbouring property. Beach access across the street. On school bus route. Walking distance to Steelhead Provincial Park and close to Savona Lakeshore Park, public beach and boat launch. Welcome to beautiful Savona located on the #1 Highway about 40 min from Kamloops, 2.5 hours from Kelowna and just 3.5 hours to Vancouver, BC. 24-hours notice to show suite.